Faced with a blank page, my mind goes blank. How do you even start to recap the experiences of the SLC and Beaver Creek concerts? Then I realized, it’s because they can’t stand in isolation for me. They are an extension of my experience at my first MKOC show at The Turning Point Casino in Verona, N.Y. Three different shows, three different VIPs, three different sets of emotions that somehow define my feelings for the man. I hadn’t seen David “live” since the final CFTH Westbury show (I miss Ray!). It was a no brainer when the MKOCT schedule was released that I was heading to Verona, VIP tix in hand! I was excited beyond description. Two years almost to the day since seeing David. How much had he changed? (a lot according to the endless vids I watched!). 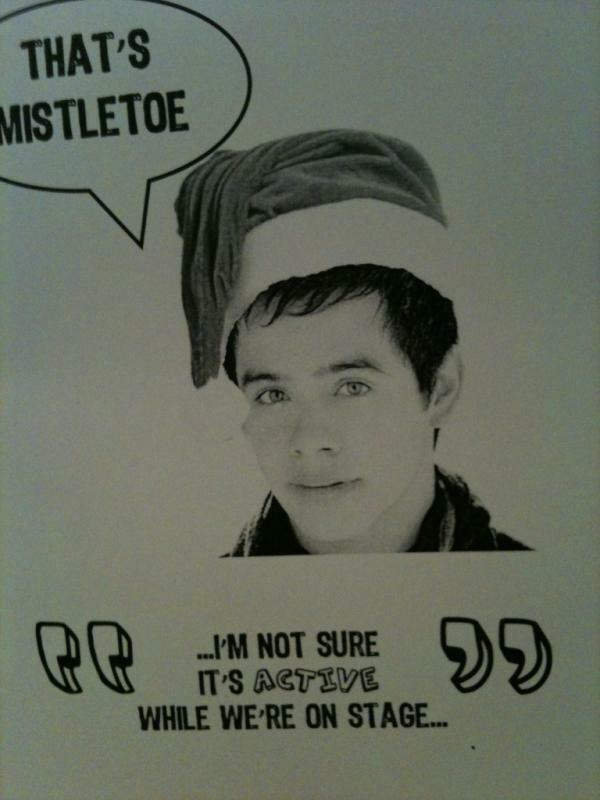 Would I freeze up again and mumble incoherent garbles in his presence? (yes, my brain sees David’s eyes, stops functioning = usual outcome). Fortunately, I ran into wonderful fans at my hotel. Excitement and laughter kept me from thinking about seeing David and kept me relaxed. As it turns out, Verona was my favourite VIP! We had a very large room so it was easy to walk around and meet other fans (I think over 100 people at this VIP). David came out and, well, after my heart beat returned to normal, I realized that yep, David had changed. WOW! He was stunning, gorgeous, older, and so relaxed and confident! He happily chatted to everyone during picture taking, taking his time, laughing with everyone. It was wonderful! I waited until the end to get on line as I was enjoying watching David enjoy himself! When it got to be my turn I put out my arms for a hug and David hugged back, NOT hesitantly, NOT awkwardly, but warmly and strongly!! BEST MOMENT EVER!! I then babbled on about the gift I gave him. Side note: Two years ago David said he was thinking of learning to play the guitar. Therefore, for David’s gift at the CFTH Westbury show I had a box of customized guitar picks with his signature on them made for him. However, they would NOT let me give him the gift. So I told David in Verona that I had been waiting two years to give him this gift! You know David, he gave me that “aawwww” thing he does but with a huge smile! Btw, who would have guessed the significance of two years at that point! I also told him to come to Toronto!! ( I have venue suggestions David!!!!). David then answered questions, sang Happy Birthday (*dead*), and the GP/LIB mash-up. It wasn’t perfect but dang, he was perfect to me! Summary: Verona represented my David to me! The voice, the looks, the chatting, a new found confidence, a caring and loving soul, a room full of fans. I stayed up all night loading my few vids (camera police were active!) and re-living this wonderful experience!! David thrills me, brings light into my life. So did this concert! When the MKOCT schedule was released I had this very strong feeling that I needed to go to SLC and BC but didn’t think I could ever afford to go. I mentioned this to my hubby and he said “let’s do it”!! WHAT?!! Hubby checked Air Miles and we had enough for two of us to fly to SLC/Denver and back to Toronto!!! Then I mentioned VIP and he said, “If we’re gonna do it, then let’s do it BIG!” I ordered VIP tix for both SLC and BC that night. EVERYTHING about that trip fell perfectly into place. It was crazy, I kept joking that it was meant to be! Who would have guessed, right? Let’s just say that I got horribly sick from Verona (“Verona pneumonia”!) and was barely functional for three weeks! Only the thought of seeing David in SLC kept me going. But finally, I was in SLC! It was a lovely city; my hotel was across the street from the venue and The Temple. I went to Deseret Books and stocked up on my (signed) GCT cds/dvds!! Soon it was time for VIP and we headed over. Can you say “EXCITED”?!!! We went in and found out that rehearsals were going on. So my go-getter hubby asked if we could watch, and they said YES???!?!?!?!?!! There we were, sitting right by the stage watching all of the planning (Jeff in control) and the practicing by the orchestra. WAY COOL! But finally it was time to head to the VIP room so we left. VIP at SLC was different than Verona. The room was much smaller and filled with chairs, making it very difficult to move around. Also, the piano was at an angle that blocked the view for many. But David came in and we all sang Happy Birthday to him. He loved it. We then started with picture time, everyone in a festive mood! This time, I decided to shake David’s hand (confession of ulterior motive: I wanted to see his eyes again haha!). I told him that we love him in Canada and to please come. However, I got the strangest response this time. He hesitated, there was no smile. Then he said “maybe someday, someday.” I kidded him that he HAD to come to Canada and left. It felt, well, weird. I chalked it up to him being nervous! Had no clue what was coming but it sure makes sense in retrospect! I’m guessing that there are numerous vids posted of David at VIP (we were told to go ahead and take pics/videos!!) so I’ll stop here. My memories of this show are still processing and may take a while to fully come to the surface. The hall was spectacular! Jeff LeBlanc was awesome. Then, about 2,700 people all screaming for David!! I took vids, loved David, teared up with David at Silent Night. We sat two seats next to Lupe and the Archuleta clan. Lupe was SO happy and looked so proud of David when he was on stage. It was all so perfect. And then David came back for his encore and well, yeah, one sentence that turned my world on its axis, tumbling out of control. I was stunned! I can’t remember O Holy Night other than the tears in David’s eyes. And then the concert was over. I saw again the pride and happiness in Lupe’s eyes following the announcement and I knew that this was the only right decision for David. However, my heart was ripped to pieces, many people around me in tears. In the lobby there was an equal split of tears and excitement. I am not a prolific enough writer to ever be able to describe the explosion of emotions that I was feeling. Thankfully, I had hugs from other fans to help out with it all. I needed that to cope. YES, it was meant to be that I had made the trip to SLC! Summary: SLC represents the moment that I realized just how much I loved David and how much he had become a part of my life, how much he had made me a better person and how much I loved my Twitter friends and David’s remarkable fanbase. I still haven’t watched a vid from SLC (including my own) except for the announcement video posted on the OS and just ONCE! It’s just still too painful! I know David’s decision is right (no one can tell me “I don’t get” David!) but I’m still coping. Thank you FOREVER, Beaver Creek! Did David purposely schedule one more show after SLC? Who knows, but it sure ended up being brilliant! Let me start with breakfast at the hotel the day of the show (btw, Verona pneumonia returned in full force the day after SLC. It took us ALL day to get to BC!). I was wearing my David Archuleta hoodie (which ironically, I bought at the beginning of the SLC show because as I had told my hubby, I think I need that hoodie!). While getting my juice, a young man came up to me and asked me if I was a “David fan.” I, of course, said yes but the young man then left. Hmm?? Well, fortunately, he came back and we started to talk. He had come all the way from Mexico to attend the VIP. He’d brought his parents who didn’t even speak English. He asked me how I knew of David (I’m thinking, loaded question!). I told him from Idol. He then explained to me that he was watching iCarly in Feb (yes, this Feb.) and went “who is that guy?” He then learned about David and felt a strong connection to him. WOW, right?!! He couldn’t wait to meet David. My morning had already been made by this sweet young man, but then many other fans of David (that could be a great name for a website!) started to arrive. I met all sorts of truly wonderful people. We were ALL trying to cope with losing David for two years. What an amazing relief to be able to share our feelings! So many of us were scared of crying during the VIP when that was NOT the atmosphere we wanted for David. We all shared that we supported him fully and wanted him to understand that. Many of us had received countless numbers of tweets from fans around the world asking us to tell David how much they love him. I cry at anything (my kids tease me over crying over a Garfield cartoon) so it wasn’t looking good for me –haha! So, I decided to take my last moments alone before VIP to write David a VERY long letter (hmm, a lot like this recap!!) explaining how much he meant to me and his other fans. Again, what a blessing to have the opportunity to write the letter and then be able to give it to David. That really helped. So did singing “We’ll Be There” to him (thank you Karin and Monica and all those who coordinated the event!). I managed to get my pic with David, tell him how much his fans in Canada love him and that we WILL be there when he returns. I got another hug!! So, Vilar Performing Arts Center, what the heck? I’m guessing many of you have seen the amazing vids from the VIP. You know how beautiful he was. You may have noticed that we didn’t get the last song David wanted to sing. 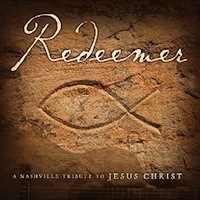 We learned from Sunny Hilden that it was supposed to be “Be Still My Soul” but we ran out of time (NOOOOO!!!!). So Sunny suggested that they end the encore with that song but she then got locked out of the theatre while sponsoring a child and the opportunity was gone. Dang! All we knew at the time was that the show was starting and some Vilar representative spent an eternity on stage talking about the venue. All I could think of was, hey, without this guy we could have gotten that last song from David (selfish but hey! David singing trumps Vilar guy!!). Then finally Jeff Leblanc came on (seriously, I love this guy!). I was in a row of four people in the third row all the way on the left. Beside me were two elderly ladies. Little did I know that they were the soon to be infamous Camera Naziis!! I took my iPhone out after Jeff was finished and gray-haired lady (GHL) threatened me to put it away!! That’s when I knew we were in trouble. I could see people like Muldur with their cameras out. Sure enough GHL started waving her hands in front of us, jumping up and running after people OVER and OVER again! At one point she dove into the aisles to stop someone from recording!! Our row couldn’t even watch David, it was SO distracting. I soon discovered that all I had to do was play with my iPhone and GHL focused on me rather than Muldur and others. I played with my phone a LOT but soon GHL saw the other recording efforts and put a stop to it. That’s why you guys have very little vids from BC. However, during intermission a few things happened. First, my hubby ran to the lobby as did many others, like Pastel, who complained about GHL. Hubby demanded to talk to the manager, explaining how GHL was ruining the show. I, on the other hand, went to talk to Kari (David’s tour manager) who had come out, and asked if it was David who didn’t want any vids taken. Kari looked confused and said no, that must be the venue’s policy!! To make a long story short, GHL was gone after intermission, so I took out my iPhone (turned the display light way down till I could just barely see David on stage) and started recording!!! NO one stopped me. So I believe hubby and Pastel were the true heroes here, NOT me! But I did get every song after intermission (unfortunately with a very old iPhone and pretty poor resolution). They are all posted on my YouTube channel (audio is great!). Sure enough, after the concert, David came out and greeted everyone at the tour bus. Once again, he stayed as long as possible and was so giving of himself! I wanted to go up to him but felt paralyzed again (he has that affect on me, ok?!!). Finally, just before he was being pulled back to the bus I jumped in and got David to sign the beautiful pic in the Vilar PA program!! I told him, once again, that Canada loves him, we promise we’ll be there when he comes back. He smiled. I died!! I treasure that autograph!! Then he was back in the bus. BUT WE COULDN’T LEAVE! Again, I met the most amazing fans as we stood there, smiling for David, joking about sneaking on the bus (we promised to be quiet!!). Then Sunny Hilden came out! She is truly a lot of fun in person. I asked her about recording Falalalala. She wants to but hinted that David was hesitating. he requested that we tweet David asking for a recording. She would love to have it released next Christmas for us fans who will be missing David horribly at that point. GOOD IDEA!! Let’s tweet tweeps!! Summary: Beaver Creek gave me the inner peace that I needed and the acceptance that this is exactly what David needs to be doing. It represents my next phase of being an Archie (I meant it when I said fan for life!). I will miss him beyond words. I will wear my hoodie every night before bed!! I had no idea how much difficulty he had in putting together the MKOCT. How can you not love a guy who is so caring and appreciative of his fans? I also wrote him that he better NOT close his Twitter account because thousands of hearts would explode if he did! As long as Twitter, his official site, and his many fan sites remain in operation, I know he’ll be back!! That voice, that passion, that remarkable man cannot remain silent. 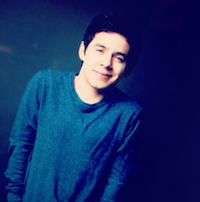 I LOVE YOU DAVID ARCHULETA!! Thank you for the most remarkable first four years and the years still to come! 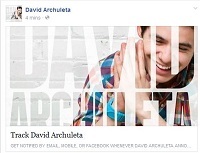 This entry was posted in Concert recap and tagged David Archuleta. Bookmark the permalink. CADTHU: I love your recaps of the 3 shows shows you attended. Thanks so much for writing this! It is interesting how different the VIPS & shows all were from each other. I saw David at the SLC show and I will never forget it!! I walked out of this show in shock after his announcement. I’m feeling at peace about his decision to go on a mission now but I’ll admit I was pretty shook up all last week. 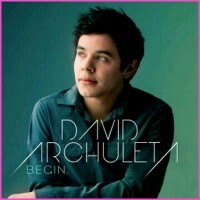 I will always love and support David!! Your hubby sounds amazing! Cadthu….just loved reading your fabulous recap. What wonderful experiences and memories you have made. So great you saw David in Verona, in SLC and BC (wish that stood for British Columbia 🙂 How very moving, memorable and magical! It was captivating to read and I love your wonderful summary. “That voice, that passion, that remarkable man cannot remain silent.” Have no doubt this is absolutely the truth and yes, he will be back and we will be here. Thank you for your wonderful story, cannot imagine the array and the depth of feeling you experienced but your recap definitely helps to pull you right in to those feelings and experiences! CADTHU, loved every word of your recaps! Esp. hearing about the young fan from Mexico who just “discovered” David on iCarly in February and travelled all that way to see him! wow! Hearing that David fought against obstacles to make this tour happen before he left, warms my heart. Because, tbh, I’ve been feeling like I’ve been “fired” … laid off, made redundant. As if my company’s been taken over by a bigger enterprise and relocated across the globe. Oh, but we’re keeping a skeleton staff on hand to wind things up for the next few months if you want to stick around. … Sorry, I digress, LOL. TOfan, what does this last paragraph mean? tawna21, I was just trying to (lamely) provide an analogy for how I’ve been feeling the last couple of days. I support David 100% but the more I think about it, the more it feels like this is the end of a chapter for him … and for us … and the beginning of a brand new one. At every show on this tour, he made a point of thanking all of his fans for the support from Idol until now… wrapping things up. It makes perfect sense, no one knows (including David) what will happen in two years, so I don’t expect him to ask us to “Wait” … no matter what his song says. 🙂 And I want to “let him go” to do what he needs to do and be who he needs to be … the same goes for all of us. Don’t get me wrong, I’m not going anywhere and I too will rocket to his “Welcome back” show, wherever and whenever that may be. I think what brought this on was an author I heard interviewed on the radio yesterday… he spoke of the reasons for people taking photographs, journalling (even taking videos 🙂 ) as our attempt to document the present, to “try to make permanent that which is fleetingly impermanent” … choked me up when he said “Pay attention, pay attention, pay attention … don’t let it miss you!” … I’m SO glad we have all being doing exactly that for 3+ years! … sorry to blather on guys… one of those days. Cadthu, It was so great meeting you and your husband in Beaver Creek. You made this last show and after gatherings so great. Thanks for the recap!! It is wonderful and so are you. I got a note from David thanking me for being at the last two shows and I thank him. (even though I went from euphoria, to grief and desperation, to euphoria again.) Nobody understand but us!! I got a candle on my twitter picture today. I’ll be here!! Keep in touch! cadthu, thanks for this recap! I probably saw you at VIP in SLC and didn’t know who you were–wish I had. 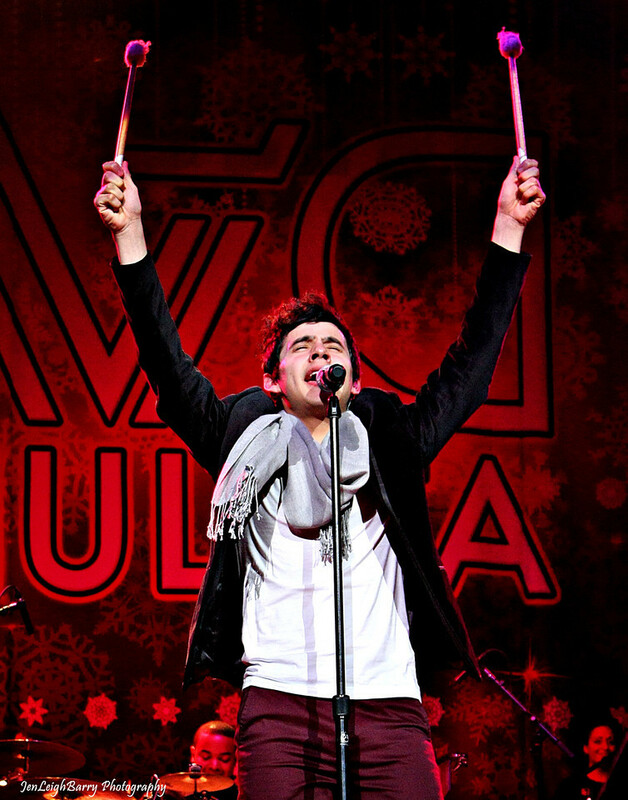 Your hubby sounds as awesome as mine when it comes to David and concerts,VIPs, and all around support! Love ’em.♥ We only made it to SLC because we bought VIPs for our daughter and her 2 children. No regrets, they became true fans because of it. I will be here for David when he returns (and all the way thru). And, like you, will travel to wherever for his first concert!! I believe it was quite a while ago. The hacking rumor was last Aug, so sometime before that. He denied sending the message but did not deny the message. Sunny said she knew but it wasn’t for her to say. I heard somewhere (can’t remember where) that he made the decision a year ago… no idea if that’s true… I wondered if he would’ve gone sooner but MoTab obligations required him to stick around to do promo for the PBS special/DVD/CD sales this month? That wouldn’t surprise me. I believe he was impacted by his visit to India. Seeing him washing that man’s feet and watching him playing with the children was a spiritual experience in itself. The organizer said in Pamela Pikes’ book that they had planned on taking him to see the sights before he left and he asked if he could instead stay and play with the children. He went on to say, that he would bring his bag with him,so as not to inconvience anyone. I’m sure there are many of his experiences like this that have impacted him. This was not an overnight decision. I’m over the limit on tweets. I replied to Snowangelzz that I had wished you were with us and that you were in Spirit. Guess I tweeted and retweeted #Happy21stDavidArchie too much. Carry on gals and guys until I can start tweeting again!! Oh yeah I forgot the hacking rumour. Can’t remember, did the hacker say he was or wasn’t going on a mission? One of the messages was that he was and would be announcing it in SLC. Some think it had to be someone in the know with access to his cellphone ie: family member?????? 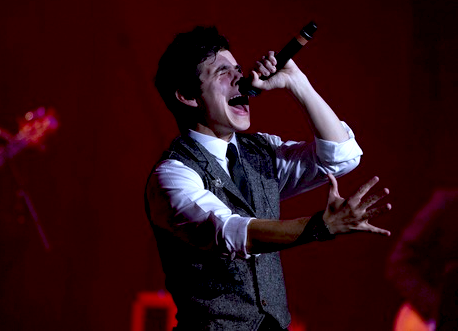 Happy Birthday to David Archuleta with 21 of favorite performances. Yippee! Cadthu>>> great recap>> thanks for showing David the Canadian love!! Forgot to say, I reallllly like the idea of Falalala being recorded now as something for us fans next year at Christmas. dangitdavid, SOOOO wish we could’ve met in Verona!!!! Posted your comment in the next thread!